I was shocked by how much I enjoyed reading Flicker & Burn. This is definitely one of those rare cases where the sequel surpasses it's predecessor. 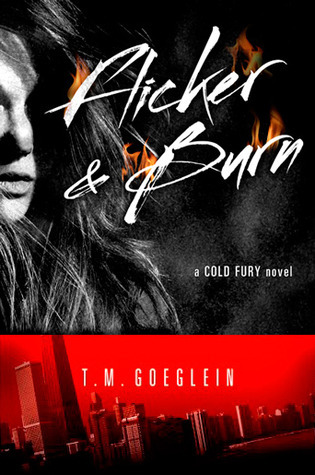 The first installment of the Cold Fury series was a good read, great even. I found myself enamored with the elaborate world T.M. constructed, as well as the supernatural twist he intertwined with the plot to give it that dramatic flair. This was one of the reasons I found the plot, the whole premise really, to be so intriguing. It isn't your average, everyday blood-sucking vampire or werewolf love story, but a contemporary action thriller with just a hint of something that's not completely human. This is new to me, but it certainly sounds good. Thanks for the great review.